Giordano Sivini has been an international aid consultant for over twenty-five years. Here he channels a 1960s and 1970s idealistic political commitment into fieldwork and the sphere of development from the 1980s to the present. 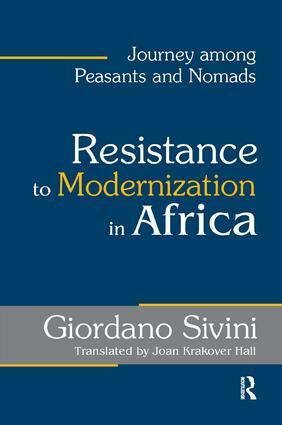 Sivini writes with both passion and cynicism about his experiences with the numerous African aid projects he has been involved with over the years.While the fathers of independence of British and French decolonization wanted to change the colonial conditions of exploitation, Sivini finds that their good intentions have been shipwrecked. Ironically, the longer Sivini served as an aid consultant, the more he found himself dismayed at the various projects that were under way or slated to begin. He perceived some of the projects as grotesque, and, almost all ineffective. The money was wasted on such ventures not because of a particular government's interest in the social effects they would have on the local populace, but because of the direct and indirect benefits the government would receive.Sivini sees international development aid as its own market: development is a commodity that takes the form of large and small projects, and is traded for loans and gifts to generate political and economic advantages for the institutional participants in the exchange. Ultimately, governmental and aid projects often stimulate resistance from the local populace as agencies upset their usual system of production by regimenting peasants to produce for the market, then appropriate the cattle of nomadic pastoralists, villagizing and resettling peasants in areas of high productivity, and exploiting laborers in large farms. This creates social disintegration, mass migration in urban informal economy, and poverty.This is a dynamic and moving analysis of foreign aid that will be of interest to students of African studies, governmental programs, rural development, and political economy.